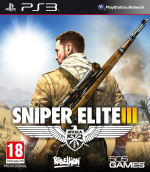 Did you already kill legendary historical figure Hitler in Sniper Elite V2? Forget about that, because developer Rebellion’s giving you the opportunity to do it all over again – this time in the sunbaked setting of Africa. Those that pre-order the upcoming Sniper Elite III on either the PlayStation 3 or PlayStation 4 will unlock an additional mission, which marks the return of the Fuehrer. 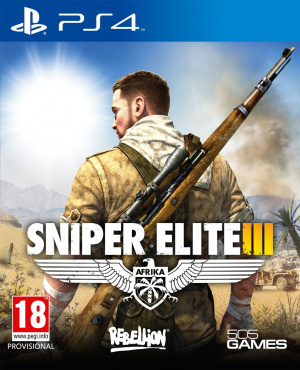 The bonus objective – dubbed ‘Hunt the Grey Wolf’ – will see you tailing the Nazi leader and his doppelganger to the Libyan port town of Tobruk. Your objective is to infiltrate the German stronghold and take the moustachioed madman out. The blurb makes it all sound so easy, doesn’t it? As for the full game, it’s due out on 24th June in North America and 27th June in Europe. 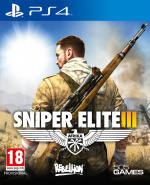 There’s also some speculation that the British developer may be firing its undead spin-off Sniper Elite: Nazi Zombie Army onto Sony’s next-gen system, so keep your viewfinder pointed towards this page for more information on that. Are you going to spend your summer picking off unsuspecting enemies? Take a pot shot in the comments section below. I'm interested in zombie Nazis and disintegrating Hitler's face but not enough for me to pre order this. I briefly played the previous title on a xb360, didn't like it at all. I really want a sniper game which involves a whole lot of stealthy sneaking in all terrains, I'm not sure this will deliver although it should be fun. @RyoHazuki If that's what you're after, you gave up too soon on this game. There are plenty of stealth missions and plenty of action missions. I was surprised at the overall quality of the game. And the zombies mode is top-notch! I'd buy that as a stand alone product any day! how good is the zombie mode?